MI6 operative James Bond, agent 007, questions his loyalty to his superior, M, when her past actions have consequences in the present. 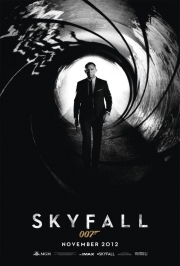 When MI6 itself is attacked, Bond must seek out and eliminate the threat. Whole or part of the information contained in this card come from the Wikipedia article "Skyfall", licensed under CC-BY-SA full list of contributors here.